Part of our stunning Venice Collection of beaded fringe trim. 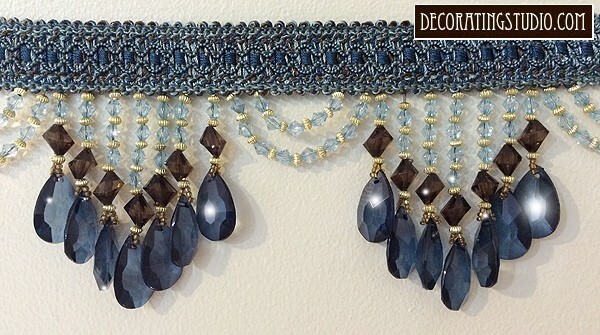 "Deep Blue & Brown Venice" is created with dazzling transparent deep navy blue, ice blue and chocolate brown beads intermixed with pale antique gold accent beads. The beaded loop and drape of the beads alternating with the graduated lengths of the beaded strands is truly breathtaking. Venice is a beautiful home decor trim.